If you are been running a blog for a few months, you have probably wonder how you can make money? It's a common question all bloggers go through. One way to monetize your blog is to run ads text and banner ads. This can be done by signing up to Google AdSense. This program allows people to easily serve targeted advertisements to their audience. Google AdSense is the most popular system that bloggers use to make money. It can be easily implemented, automatically targets your user's interests, and has detailed reporting. It is the perfect options for those that have little advertising or monetizing experience. Users can generate income by serving ads on a PPC or CPM. PPC - Paid Per Click: When a user clicks on your ad. CPM - Cost Per Thousand Impressions: When a user views an ad. Google AdSense has become so popular that as of 2011. The program is responsible for 28% of their total income, or roughly $9 billion annualized. 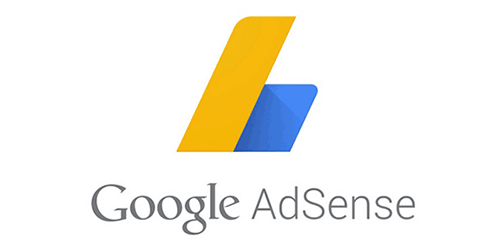 Google AdSense has risen steadily in popularity since it’s inception in 2003. Google was able to harness their abundant power and technology to serve adverts to a website. This is based on parameters like the website’s content, the user’s geographical location, gender, and preferences. Everything the user typically surfs while online is all accounted for. The banners are often less obtrusive than other advertising means. Especially when they are relevant to the content provided. With how easy it is to implement, many small companies have turned to AdSense to serve ads on their content. The benefits are not exclusive to small websites. Many large companies that serve content to thousands of users a day have turned to Google as well. Many content management systems now have built-in features that make adding AdSense easier. Blogger has built in access to AdSense features and there are available WordPress plugins. Even the most novice of internet users has options when it comes to monetizing their content. Companies use Google Adwords to create and bid on advertisements that will be served. As well as designating the content of the ad and style of the ad. A website is only allowed a total of three Google AdSense spots per page. Don't place these randomly on the page. The higher up the better the performance. Take note that you shouldn't sacrifice user experience for ad placement. Behind the scenes, a lot of processes are taking place to track everything. For those wishing to use AdSense things are much easier. They simply start by visiting the AdSense page and filling out the appropriate information. With Google’s easy to understand directions most people can have a campaign going in a day. While those problems may seem troublesome, and have even deterred people from using AdSense. The fact is you’ll find many of the same issues with any advert publisher. The difference is Google is committed to creating great products and perfecting their system. Whether you are a small blog or a large size content publisher looking to expand your advertising options. Look to Google AdSense as an easy way to make money.